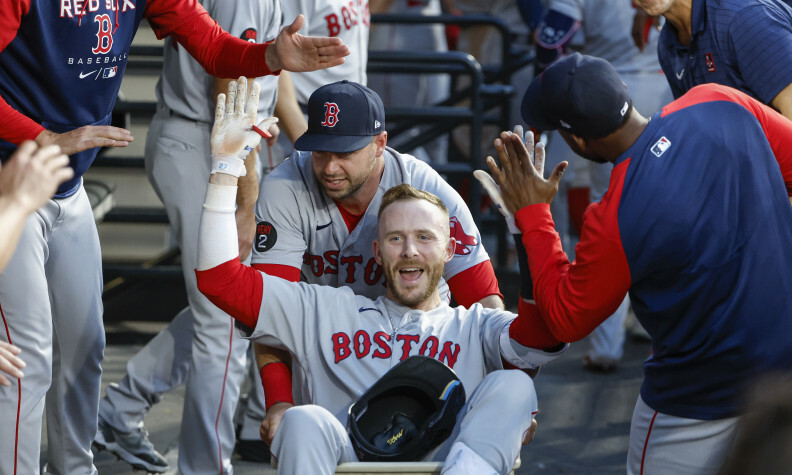 That was the sentiment echoed in a review of Dave Potts’ album in a college paper that inspired his FanDuel username, a username that would eventually go up in lights as the winner of $1,000,000 at the Fantasy Baseball Championship in 2014. And his FanDuel username is indicative of more than just a random moment of inspiration. 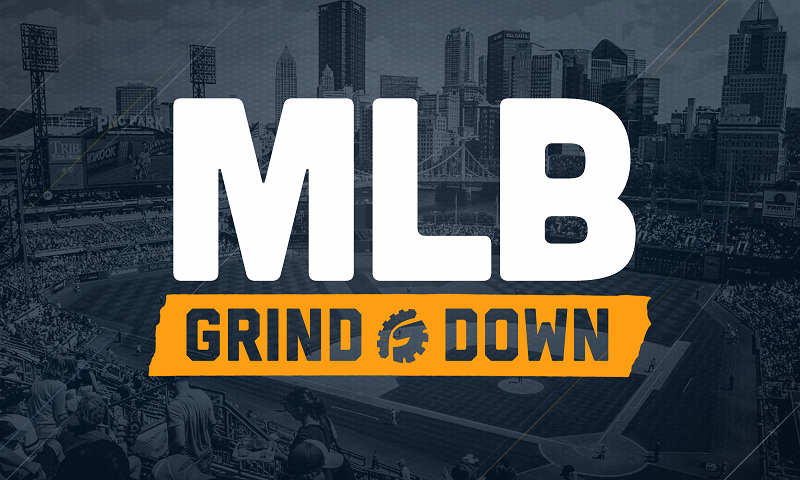 It’s a look into his approach as a top high-stakes season-long fantasy player and a top-ranked MLB and NHL grinder in DFS. “I don’t even like cheese,” Potts told me in an interview. “When I first signed up for DFS, it never occurred to me that my username was relevant, or I would have thought harder about it.” Normally, Dave uses Seinfeld references to name fantasy teams and accounts (Low Talkers is his season-long team name), but felt inspired by a review of one of his albums to embrace his cheesy music and make it his FanDuel moniker. Potts lives in Alabama with his wife and two kids, and as you might have guessed, his life outside of profitable fantasy sports revolves around music. He toured as a professional musician for 15 years, performing songs he wrote himself, and releasing nine albums along the way. These days, with fantasy sports taking up more of his time, he’s limited to just playing some local gigs and passing along his songwriting insights to others by way of lessons. “Fantasy baseball has been my main gig for the last three years,” he said, and given his successful track record, it’s easy to see why. 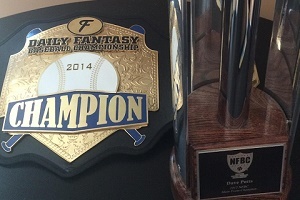 Dave started playing fantasy baseball in 1999 with some friends, and was immediately hooked. His involvement in the season-long game grew every year until eventually he began high-stakes play in 2006. He took down the NFBC Main Event Overall Championship in 2012, collecting a $100,000 grand prize, as well as winning another high-stakes NFBC contest for another $40,000. But these scores were nothing when compared with what was to come in DFS. The daily game caught Potts’ eye immediately, as he started playing on Fantasy Sports Live in 2008, because the idea of daily fantasy baseball was appealing to him from the start. He started mainly playing cash games as a source of income outside of his season-long success, and it wasn’t until 2014 that he began to look into tournaments, qualifiers and other high payout types of contests. 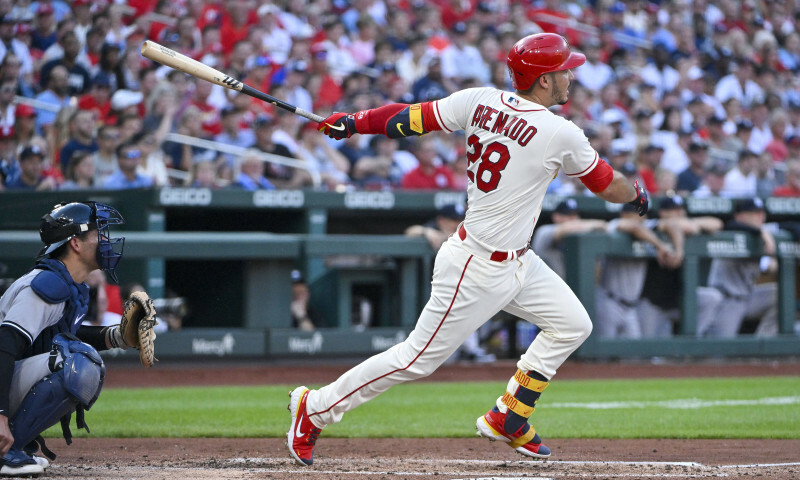 FanDuel sponsored the NFBC, and had a representative at a draft who explained the Fantasy Baseball Championship to Potts, and the idea of taking down a $1,000,000 top prize was all the incentive he needed to start playing more large-field games. So Potts laid out a plan for his eventual qualification to the live final, and would book his trip to the DFBC in April. “I follow a very specific bankroll plan. Even in the past, when I started out just playing small stakes cash games, I always made a plan and stuck to it.” Potts explained that he separated his qualifier bankroll from his main bankroll, and picked his spots when trying to take down a qualifier event. “Because qualifiers are basically ‘win or go home’, it’s important to know how much you’re willing to lose” when planning for those kinds of events, Potts told me. He also let me know that his main piece of advice for those chasing a seat in a live final this year is to pick and choose your spots when chasing tickets to main events. “If you’re not entering quite a few lineups, it’s probably better to save up to enter a higher buy-in, smaller field qualifier,” he suggested, and would go on to explain that the slate and the players available often make a difference as well. “I won my seat last season in a perfect spot. I had the opportunity to play my top-ranked pitcher and have it be a contrarian play. Zack Greinke was on top of my board, but I felt the highest owned pitcher would be Michael Wacha, as he was pretty popular early in the year, and cost significantly less than Greinke.” He would stack Greinke with offenses he liked across three lineups, and his ace picked up an eight-point advantage over the well-owned Wacha and helped earn him a seat in the final. Potts says it’s still hard to put into words what it was like to qualify for and win the main event at FanDuel. Fantasy baseball is a passion for Dave, and winning life-changing money doing something he loves was a surreal experience. But the live final process as a whole was a great experience, and he said that FanDuel’s hospitality at the event would have made it worth it even if he didn’t bring home the big check. So how does Potts approach DFS these days? He’s still sticking to his plan. “I have specific GPP and qualifiers picked out, and my cash game budget is split between head-to-head-, 50/50 and double ups.” Potts believes in strong bankroll management, and will only go over his planned spending for a night to take advantage of the occasional overlay. “You don’t want to end up going on tilt and just randomly throwing lineups in with no thought to where they are going,” he said. Dave also suggested that it’s often a good idea to take a break for a couple of days, especially during a long season like MLB, to catch his breath and make sure he sticks to his plan. When it comes to picking his MLB lineups, Potts says his success in season-long fantasy carries over to the daily game. 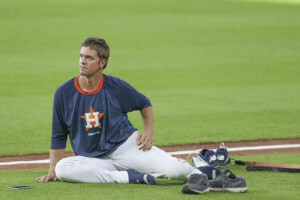 “Most of the player evaluation is very similar,” he told me, and added that an understanding of sabermetric statistics is useful in the daily game as it is in season-long. 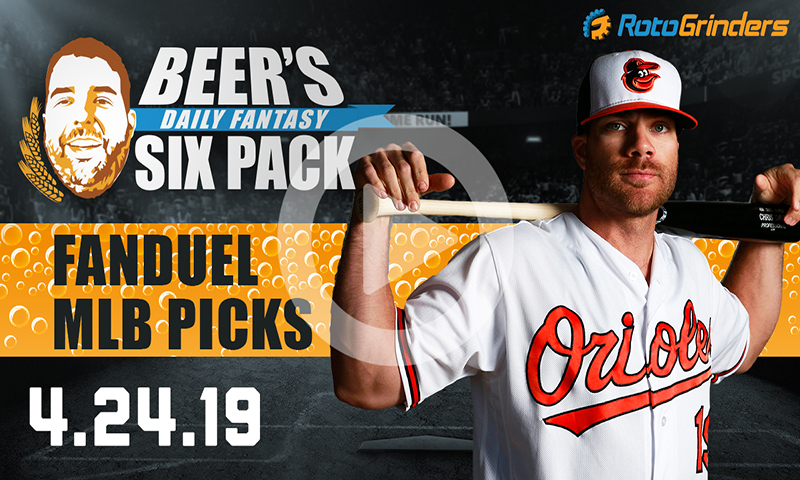 In his first article for RotoGrinders, he explained some of the psychological differences between the two games, and how the approach differs when building a daily lineup versus drafting a year-long roster. So what players is he targeting this season? 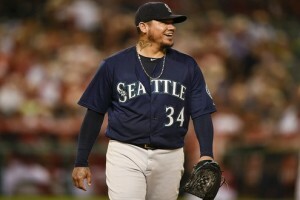 “I try not to look at any specific players until I see the pitching matchup on the day of the games,” he said. This is one of his key differences between daily and season-long fantasy baseball, as value is determined by matchup and price on any given day. For the first month of the season, he will use his season-long baseball preparation to consider players that might be undervalued, but will ultimately look for the best matchups and values based on the individual slate rather than focusing on a player ahead of time. Potts says his life hasn’t changed all that much since cashing in on a seven-digit payday at the WFBC last year. “I am not a very extravagant guy, some might say boring is the correct word,” he told me. He’s just excited to have a boosted bankroll to enter the 2015 season, and appreciates the extra security that a big payout like his DFBC first-place cash provides. 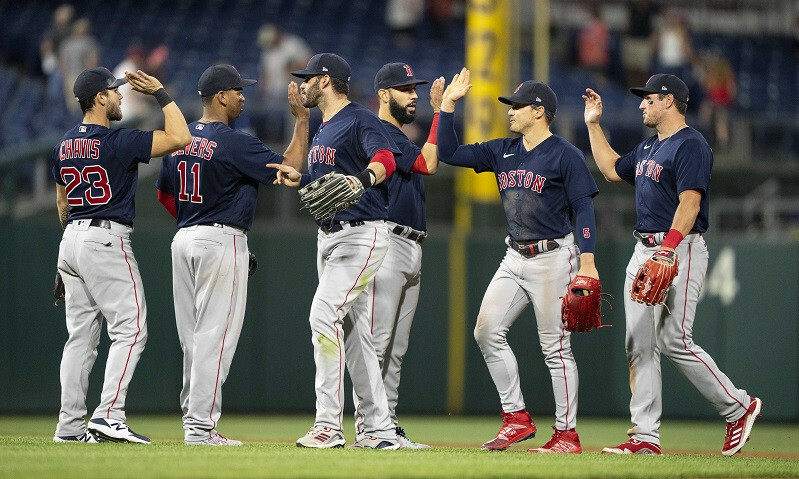 You can look for David’s contributions to our MLB coverage all season long here at RotoGrinders, starting with his article on the transition from season-long to daily games here. I’m always amazed at how unselfish most DFS winners are. They know what it is like to grind and grind until you understand what is happening. They literally hand you the strategies you need to be successful. Kudos to them all. Great won on 12/15 nhl 100k. Nice line combos bro….u rule.